Stephanie’s passion and purpose are to help busy women transform their relationships with themselves, their partners, their kids, and their coworkers; while living a happier life every day. She began reading and soaking in all she possibly could about human potential and happiness and never looked back. Soon after Stephanie started coaching people how they too could climb out of their old story and create a new happy and healthy life. She is a down to earth soul making a real difference in the world. 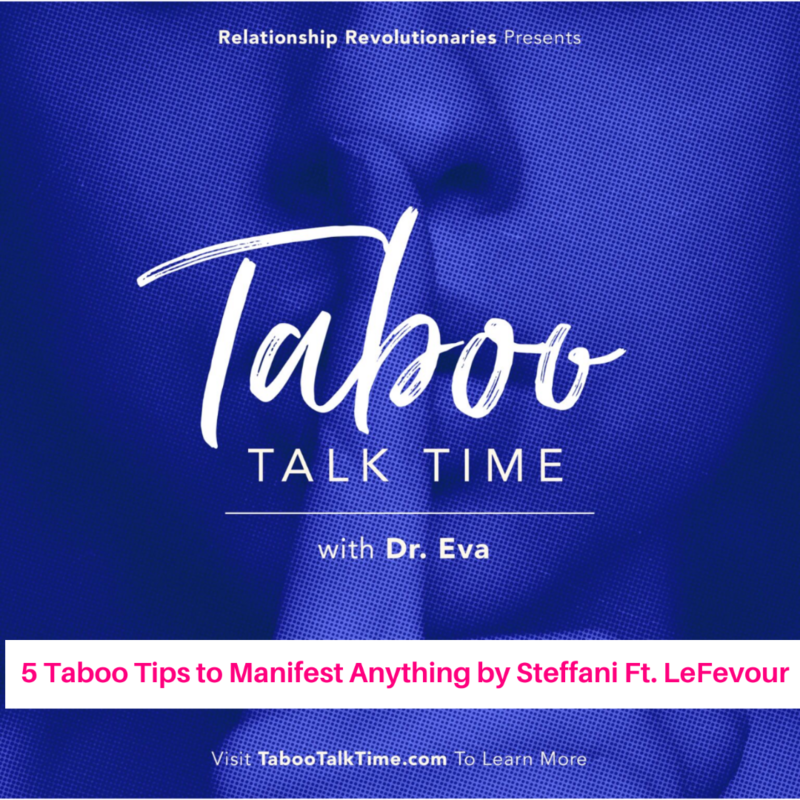 Together, we talk about the 5 tips to manifesting anything you desire in your life. When she was 4 years old she wrote a letter to the Queen of England and she wrote back. Learned as a teenager that what she focused on she created. First real job was performing as Cinderella at kids birthday parties. She has had the job of her dreams 3 times so far in life. What has radical acceptance done to your life? How can someone who’s been hurt, abused, molested have radical acceptance for their experience? How does radical acceptance help us forgive? Thank you for joining the Taboo Talk Time Family! Check out the other amazing podcast episodes, therapeutic services, online courses, webinars, and couples retreats we have for you! It is our mission to break through societal norms and unhinge the taboo, while creating a movement toward social and mental awareness! Oh! And don’t forget to share your favorite podcast episodes with your friends and family and please review the podcast! PODCAST disclaimer: This blog or podcast should not be used in any legal capacity whatsoever, including but not limited to establishing “standard of care” in a legal sense or as a basis for expert witness testimony. No guarantee is given regarding the accuracy of any statements or opinions made on the podcast or blog. I make every effort to broadcast correct information. By listening to this podcast or reading this blog, you agree not to use this podcast and or blog as medical advice to treat any mental or medical condition in either yourself or others. Consult your own mental health therapist and or physician for any mental or medical issues that you may be having. This entire disclaimer also applies to any guests or contributors to the podcast or blog. Under no circumstances shall Dr. Eva Brown LMFT, Couples Seeking Solutions LLC, or any guests or contributors to the Taboo Talk Time podcast or blog, or any employees, associates, or affiliates of Couples Seeking Solutions LLC be responsible for damages arising from use of the Taboo Talk Time podcast or blog.